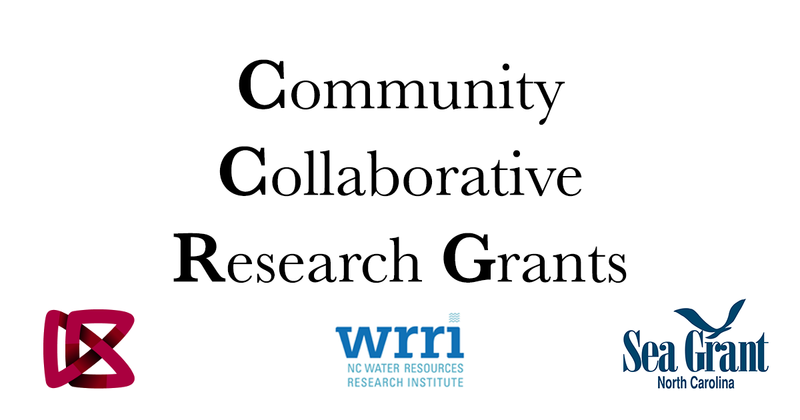 North Carolina Sea Grant’s Community Collaborative Research Grant program (CCRG) is accepting proposals now through Nov. 20, 2018. The program brings communities and university researchers together to study high-priority environmental and economic issues in North Carolina — and now funding is open for projects across the entire state. John Fear, North Carolina Sea Grant deputy director, says CCRG projects have brought significant returns on investment. This is the fourth year the CCRG program has partnered with NC State University’s William R. Kenan Jr. Institute for Engineering, Technology and Science (KIETS) and the first time the program also is collaborating with North Carolina’s Water Resources Research Institute (WRRI). Because WRRI focuses on the state’s freshwater priorities, CCRG is expanding its funding opportunities this year to include not only key coastal urgencies, but also statewide water resource issues. According to Raj Narayan, KIETS associate director, authentic community engagement and innovative collaboration remain defining elements of the CCRG program. Fear agrees. “We also hope CCRG projects will increase resources flowing into rural areas of North Carolina,” he notes. Recently funded CCRG projects already are addressing flood risk in Pender County, contaminants in alligators and fish in the Cape Fear River, and the nightscape and its potential for ecotourism on the Outer Albemarle Peninsula. New awards will range from $5,000 to $25,000 for two to 10 projects that take place over one year. Access the 2018-2019 CCRG Request for Proposals and the application. Read more about the CCRG program.